My Dell Inspirion 3148 (Intel i3) laptop's certain keys are not functioning, I have updated all the drivers now what can be done? I'd suggest you check Sticky keys in control panel. You might have mistakenly turn it on. At the left bottom of taskbar, right click windows icon, click on Control Panel, Ease Of Access, and then Change How Your Keyboard Works. If there's a check mark in box - Turn on Sticky keys) then uncheck it and click Apply. Is there any damage on the system? Does an external keyboard work fine? Does the onscreen keyboard work fine? Are the keys mechanically functional? 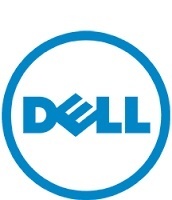 Update the BIOS - http://dell.to/29Gz5H6- restart the system and check if the keys are working fine. Well, kindly confirm if the keys are mechanically functional - when you press the key, does it go down and come back up, once you release the key or does it get stuck? Please run both the tests as advised in my previous post and respond at your convenience.